A new and exciting game is on the rise this week, topping our list of the many entertaining puzzle games, the one and only Pocket Monster Mania Go. 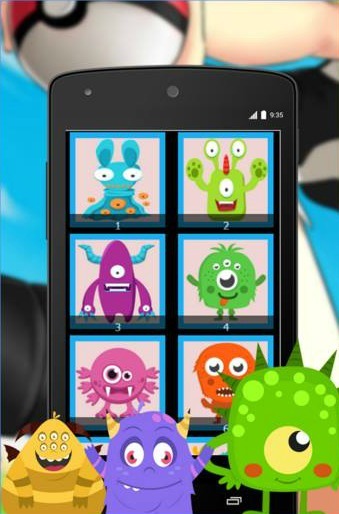 Developed by Kenneth Black, with smooth and neat graphics, clean interface and great characters and gameplay, we are rating it as one of the most entertaining games on the Android platform. Besides, it can be played on both Android phones and tablets. Once you start playing the game you won't be able to put your phone away. Download it with an ease, install it and start collecting the coolest pocket monsters ever. The game has 24 different types of pocket monsters, each of them fun to catch and collect in your device. Play and complete as many levels as you can. You can play with three different difficulty levels, so choose the one you like, collect as many monsters as you can and solve the built-in puzzles by rearranging the pieces on your display. Play Pocket Monster Mania Go even when you’re offline, make your time spent on your device worthy and share it with your friends and family. Click on the link below and get it today for free!